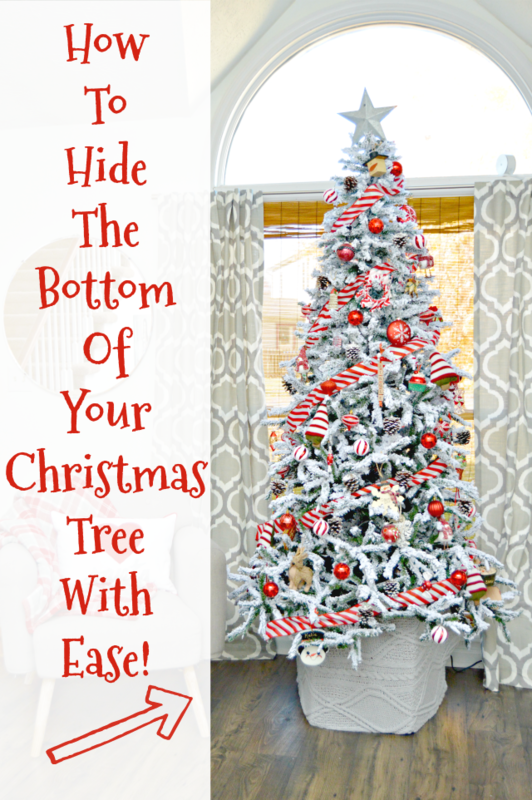 Today I’m going to show you just how to hide the bottom of your Christmas tree with ease! I get so excited to put our tree up every year, but I have to tell you…I’m not a fan of tree skirts. 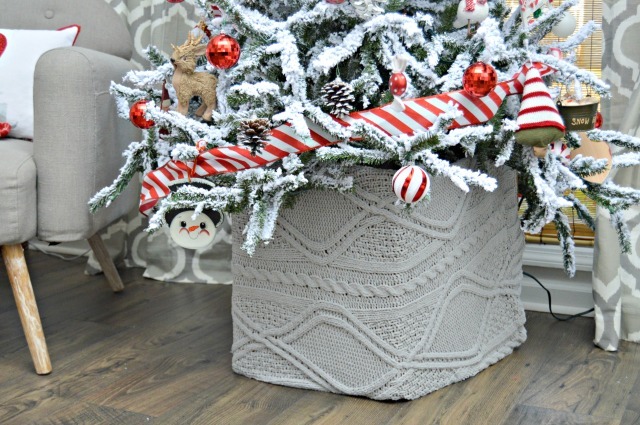 Even if we use a tree skirt, you can still see the fake Christmas tree stump, and I can’t even look at that. In the past, I have nested our tree in a galvanized bucket, but I repurposed it over the summer and it’s outside with dead plants in it…just being honest here. So, yesterday, we put our Christmas tree up and there was the dreaded naked fake stump and stand…not good. I threw a blanket around the bottom of it, and that didn’t quite look right, so I started thinking about what I had around the house that would hide the bottom of the tree until we start wrapping gifts and placing them around the tree, and it hit me. 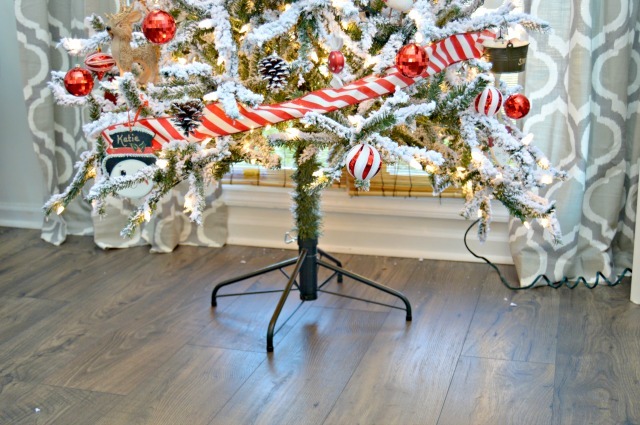 Check out the free and easy way I hid the bottom of our tree with something from our garage! Here is the dreaded naked faux tree stump and stand. Our tree is gorgeous, but the bottom…not so much. This is what I found in our garage that I used to cover the bottom of our tree. 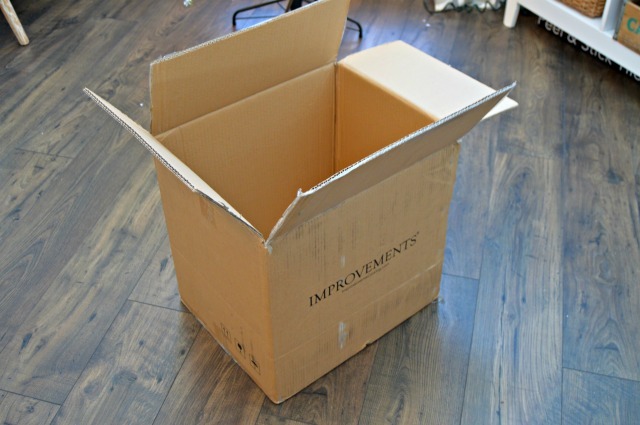 Yep, a cardboard box. I told you it was free! I started by cutting of the top and bottom panels using a box cutter. You can totally use scissors. 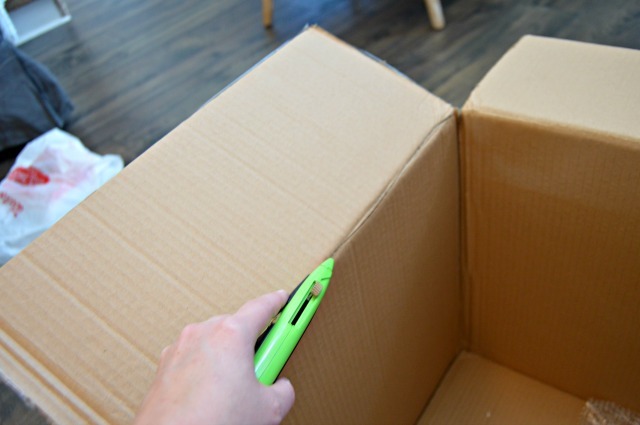 Next, cut one of the corners of the cardboard box all the way open. 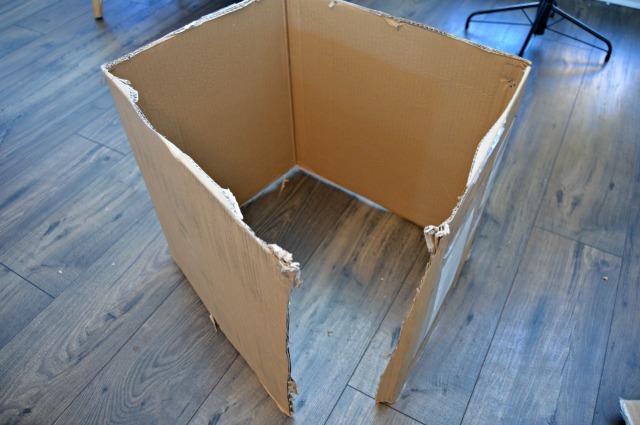 Tuck the box up under the tree branches and around your tree’s stand. Then, cover with a blanket or other fabric you may have around the house. I just pulled a throw blanket around the box and tucked it in underneath and over the top edges. You can secure it with tape in the back if you like, but since you can’t really see the back of our tree, I just covered the opening with some of the blanket…no biggie! 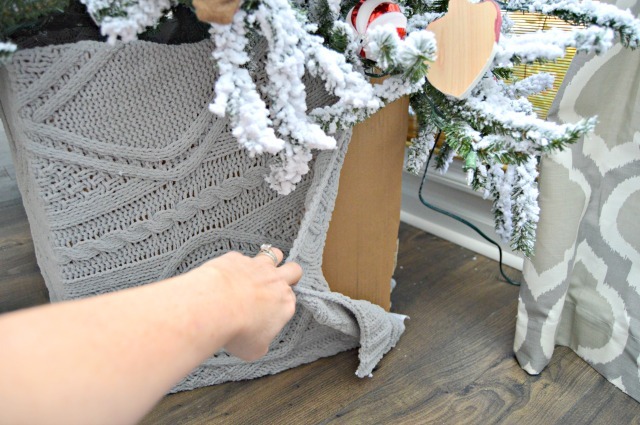 Y’all this is the easiest trick in the book and I love that I don’t have to hurry to cover the bottom of the tree up or worry about a tree skirt getting dirty or the cats trying to climb up the tree from the bottom. Did I mention that it was free too? Need a cute DIY Christmas Gift Idea? Check out my DIY Peppermint Sugar Scrub HERE and watch the video below to see how easy it is to make! You can find this idea and so many more HERE on my Christmas Page! I have covered the bottom of my treewith a white sheet for years. That’s what my mother always did, because she liked it to look like snow. You end up putting presents on it anyway, so why not use a sheet? Sandra – a white sheet to look like snowy ground – how can you possibly improve! That is inspired and so simple! Love the idea. I also can’t stand tree skirts. This is one tip I will definitely use. You are so clever. I love your post. Very Nice! I have never been imaginative enough to accept the white sheet snow look. This looks like a nicely finished tree. What a super cute idea! I thank you!